Take a long look a the V-6 before thinking you need a V-8 to satisfy your performance desires. The V-6 is more civilized and plenty fast for our taste—and it's the only engine with available all-wheel drive. The 2017 Jaguar XJ carries forward the luxury banner from the British automaker in a way that we appreciate—swaddled in leather, massaged all the way. The 2017 Jaguar XJ is the British automaker's flagship luxury sedan, even as the company steers toward German competitors. It's largely unchanged from the year before it, which should be good news for any fan of the striking shape. Its extensive use of lightweight aluminum means that it's more nimble, even if it doesn't offer the same number of high-performance options as competitors from Mercedes-Benz, BMW, or even Audi. The XJ is offered in short- or long-wheelbase versions starting at the V-6-powered XJ R-Sport, and up to the V-8-powered XJ Supercharged or XJR. All-wheel drive is available on V-6 models. The XJ cuts a stunning profile on the roads thanks to its sleek shape and blacked-out pillars that make its glass look impossibly large. The die for the XJ was cast way back in 2009, but the same shape is still a head-turner today. An update in 2015 revised the front end and interior, and from most angles the XJ is impossibly pretty. Inside the Jaguar is opulent—bordering on gaudy. Everything is bathed in chrome and leather, and the long arc of the dash visually ties together wood panels and leather in a memorable way. The XJ hasn't yet adopted the starker interiors of newer Jaguars—and we think its better for it. 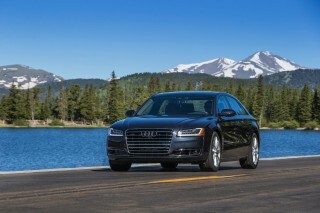 Under the hood of base sedans is a supercharged 3.0-liter V-6 that makes 340 horsepower teamed to an 8-speed automatic. The XJ's copious sound insulation keeps most of the V-6's gruff vibrations at bay, and at less than six seconds to 60 mph it's a brisk performer too. All-wheel drive helps the V-6 keep surer footing on wet or icy roads, shuffling power from back to front, up to 50/50 split. The optional 5.0-liter V-8 gives the XJ more athletic performance and comes in two tunes. The 470-hp XJ Supercharged makes the sprint up to 60 mph in 4.9 seconds, or the high-po XJR can shave a half second further from there. Both V-8 models come with an active rear differential that keeps power in place, but all-wheel drive is kept to V-6 versions only. In most respects, the XJ is smooth riding and fairly unfussy. While other models offer more performance customization, the Jag keeps it fairly simple, predictable, and pure. Despite its long wheelbase and large road presence, the XJ is snug for a full-size luxury sedan. Front-seat riders won't mind: standard heated and ventilated hides coddle driver and passenger, and optional seat massage systems are a great way to spend a long day in traffic. 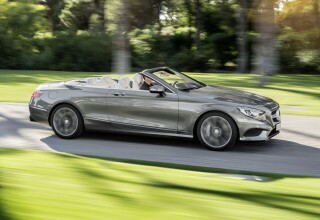 In the back, the sleek roofline and gorgeous shape cut a check that passengers will have to cash. Rear-seat leg room is fine for a sedan (much better in the long-wheelbase version that adds more than 5 inches between the tires) but rear head room is at a premium thanks to space wasted by the roof line. Fitting three abreast in the back isn't ideal either—just take me home alone, Jeeves. The cavernous 18.4-cubic-foot trunk is large enough for plenty of custom-made luggage. Like most cars in its class, the Jaguar XJ doesn't have a set of crash data from federal testers or the IIHS. We're confident that the lightweight, aluminum car will hold its own should push come to crunch, but we'd advise keeping the pretty shape in once piece if you can, please. A standard complement of airbags and stability control systems are present, as are standard blind-spot monitors with rear cross-traffic alert. Adaptive cruise control is optional, and pretty pricey at more than $1,500. 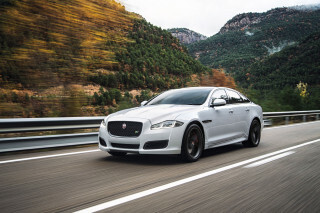 Starting at more than $75,000 all told, the Jaguar XJ is well equipped. 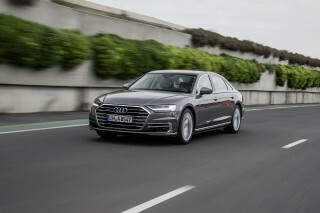 All cars are equipped with dual-zone climate control, 19-inch wheels, LED headlights, a 12.3-inch instrument cluster, an 8.0-inch infotainment display with an 825-watt 17-speaker Meridian stereo, keyless ignition, Bluetooth, panoramic sunroof, heated leather-wrapped steering wheel, leather heated and ventilated front and rear seats, power adjustable front seats, and soft closing doors. Stepping up in models and wheelbase size adds more creature comforts like softer leather, bigger wheels, or sportier suspension setups and aggressive body work. The XJ is lavishly equipped for most of us, but one-percenters may notice that it doesn't offer the same number of customization features as the Germans. Most models of the XJ will manage around 20 mpg combined, according to the EPA. Unlike Mercedes-Benz or BMW, there's no hybrid powertrain available, and Jaguar hasn't said if a diesel-powered XJ would ever make its way to the States. The XJ's shape has aged well, and it has donated its good looks to the rest of the Jag lineup. Since it was new in 2009, the Jaguar XJ has been a head-turner on roads. It dispensed with the staid Jaguar shape and ushered in a new, modern look for the automaker and has served as a jumping off point for smaller sedans—even Jag's new crossover. Last redesigned in 2015, the new XJ wears better design cues that play well on its aluminum bodies. The gloss-black panels covering the rear pillar help the illusion that class stretches from fender to fender. It's a classy look (we wonder how it'd look with brushed aluminum) and large rhomboid headlights help frame the pronounced wire-mesh grille. Fenders swell in sync with the low roofline, recalling older French design as much as anything. The interior looks like someone ran through their mother's jewelry box—granted, it'd likely be a rich mother. The XJ is smothered in chrome and soft hides, and the long, arcing dash visually ties the interior together, albeit while sacrificing some space. Piano-black trim throughout the instrument panel seems at odds with the doors' wide bands of wood and opulent leather headliner. Though the black trimwork is high in quality, it's as common on Kias as it is on Jaguars. The latest XJ takes a huge step toward more advanced interfaces, but provides what some might see as a little more visual dazzle than is necessary. The gauges and secondary controls all but abandon real dials for an 8.0-inch, high-definition LCD screen that displays all the usual functions while also changing colors subtly, indicating performance driving modes with a soft red glow. The LCD touchscreen also controls climate, audio, and navigation functions, with some redundancy from real buttons. We welcome the buttons, since the screen can take some time to react to selections. Smooth and refined or raucous and entertaining, the 2017 Jaguar XJ has most bases covered for a big, luxury sedan. The powertrain lineup for the 2017 Jaguar XJ ranges from silky smooth to high-performance, with all-wheel drive available on some models to appeal to buyers north of the Mason-Dixon line. In base setup, the XJ sprints up to 60 mph in less than 6 seconds and performs favorably compared to the more-expensive V-8 version. Only the V-6 can be teamed with all-wheel drive, so we suggest buyers take a long look at that model before spec hunting bigger models. The next steps up are a choice between two supercharged 5.0-liter V-8 engines. The XJ Supercharged gets a 470-hp version and rips off 0-60-mph times under five seconds. The XJR gets a 550-hp version of the V-8 that is a half-second faster to 60 mph (4.4 seconds), but adds a stiffer suspension, and various exterior aero bits and an upgraded interior. All models are available as long-wheelbase versions. An 8-speed automatic is standard across the lineup and shifts smoothly and quickly in each model. Dial the rotary knob into "S" mode and the transmission holds gears longer and spins up higher in the rev range; adding "Dynamic" mode for the suspension and throttle tunes the big cat into full attack mode. The XJ's ride and performance isn't as customizable as others from Mercedes-Benz or BMW, but frankly, we don't mind. An independent suspension (coils up front, links in back), electronically adjustable air springs in back, and an electronically controlled rear differential on supercharged cars lets the XJ go about its work more directly. Owners can use "JaguarDrive Control" to adjust Normal, Dynamic, and Winter settings for the throttle, steering, transmission, and ride quality. Jaguar's all-wheel-drive system is set up for more rearward torque bias (automaker reps say it's more authentically "Jaaaaag") that engages quickly when wheels start to slip. Nominally, the system is set up 10/90, front-to-rear, but can shift power 50/50 if needed. In inclement weather, the all-wheel-drive system can be set to favor more front bias, 30/70, and start off slower in low-traction takeoffs. The XJ has fewer performance options than its rivals—which offer V-12 engines in some circumstances—but still manages to be an engaging performer. The XJ's reflexes are more pure and predictable with a more unified driving feel. With this generation, the XJ has set aside the long-storied ride isolation of Jaguars past. It's replaced that ride quality with an athletic, taut feel. The XJ has a deft handling edge over its rivals because of its weight; factor in the adaptive damping system, and the electronics manage to filter out minor road imperfections without spoiling any of the fun. Big ventilated disc brakes with brake drying and good pedal feel match the XJ's crisp feel, and Z-rated tires of up to 20 inches stick tenaciously. There's one caveat: rear-drive XJ sedans now use electric power steering, which we haven't been able to sample yet. As soon as we do, we'll update this page. Trimmed in leather and swathed in chrome, the XJ is beautifully appointed, albeit a little snug in the back. From the outside, the 2017 Jaguar XJ is a bona fide stunner. From the inside, the XJ is a little, well, stunted. Front-seat passengers won't complain much. Rear seat passengers may get the business end of that sleek roofline. Long-wheelbase models help in leg room, but can't change the fact that a lot of interior space is wasted beneath that expansive, tapering glass. Rear seat entertainment and premium packages can go a long way in helping passengers forget about the low roof. Dual 10.2-inch screens fold into the front seatbacks and swaddle passengers with heated and ventilated leather with massage features. It's hard to imagine a better way of suffering through traffic. USB and HDMI inputs handle most types of media—may we suggest "Wall Street" for chauffeured rides into work? Long-wheelbase versions of the XJ add nearly 5 inches to the wheelbase, which mostly goes into the back seat for extended leg room. Smothered in chrome, wood and leather, the interior feels both sumptuously beautiful and a little thrifty at the same time. The amount of shiny trim is just a bit overwhelming. But when outfitted with one of several striped-wood veneers, no competitor comes close to the XJ's luxury atmosphere. Unlike some class-equals from Germany, the XJ's rear seat appointments feel as well-finished as the instrument panel, not stark and sanitized. A power trunklid opens to reveal a spacious 18.4 cubic feet of space, and a much appreciated flat floor. Federal and independent testers haven't crashed a Jaguar XJ, and we don't suggest you do it for them—it's just too pretty. Like most high-priced, low-volume models, the 2017 Jaguar XJ hasn't yet been tested by federal officials or the IIHS. All 2017 Jaguar XJs come with the standard complement of airbags and stability control systems. A rearview camera is standard, and a surround-view camera system is available. All cars come standard with blind-spot monitors with rear cross-traffic alerts. The Jaguar XJ lacks night-view camera systems that others offer, but adaptive cruise control is available—albeit for more than $1,500. All-wheel drive on V-6 models should give cold-weather shoppers a little more comfort on snow. The system can shift power from a 10/90 split, front-to-rear, to 50/50 in bad weather conditions. A snow mode starts with a little more front bias, 30/70, and opts for second gear to help low-traction takeoffs. Jaguar is careful to point out that its all-wheel drive system is not designed for additional performance in good weather conditions. Lavishly equipped, few sedans can match the luxury and comfort of the Jaguar XJ. For a full-size luxury sedan, the 2017 Jaguar XJ starts with similar equipment as other lavishly equipped sedans, but doesn't reach the stratosphere like others can. The XJ is offered in short- or long-wheelbase versions, starting with the V-6-powered XJ R-Sport, V-8-powered XJ Supercharged, and high-performance XJR. 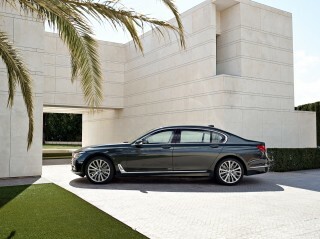 Long-wheelbase versions start with the XJL Portfolio, XJL Portfolio AWD, XJL Supercharged and XJL LWB. All-wheel drive is available on cars equipped with a V-6. All cars are equipped with dual-zone climate control, 19-inch wheels, LED headlights, a 12.3-inch instrument cluster, an 8.0-inch infotainment display with an 825-watt 17-speaker Meridian stereo, keyless ignition, Bluetooth, panoramic sunroof, heated leather-wrapped steering wheel, leather heated and ventilated front and rear seats, power adjustable front seats, and soft closing doors. Opting for the V-8-powered XJ Supercharged adds 20-inch wheels, softer hides, four-zone climate control, an active rear differential, and a rear sunblind. The top-of-the-line XJR adds red brake calipers, a sport-tuned suspension, unique exterior features such as an aggressive hood and front fascia, quad rear tailpipes, and a rear spoiler. A 26-speaker, 1,300-watt Meridian Reference sound system is optional on all cars, along with adaptive cruise control, upgraded interior lights, and parking assistants. 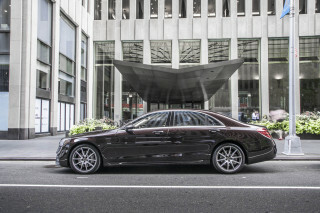 Long-wheelbase versions offer massaging rear seats, distinctive leather trim, and rear-seat entertainment system. Last year, Jaguar added an upgraded touchscreen navigation system on all cars that features 60 GB of storage for quicker access to maps and menus. Additionally, Jaguar's smartphone app, InControl Remote, allows owners to remotely start their car's engine and pre-heat or cool the interior to a preferred temperature. The app also shows fuel level, can remotely lock or unlock doors and alerts owners when the car's alarm is triggered. Competitors such as BMW and Mercedes-Benz also offer similar features, but also add high-performance models and a seemingly infinite number of customized hides and paint schemes for well-heeled buyers looking to spend more than $150,000 on a full-size luxury sedan. There's no hybrid version of the XJ, but V-6 models manage respectable fuel economy numbers compared to other rivals. The 2017 Jaguar XJ manages respectable fuel economy for a full-size luxury sedan. Unlike competitors from BMW and Mercedes-Benz, there's no hybrid powertrain option for the big cat. Adding all-wheel drive or more cylinders decreases fuel economy accordingly. The V-6 all-wheel-drive version is rated at 17/26/20 mpg, the long wheelbase AWD version drops 1 mpg in the highway rating from there. The supercharged V-8 version engines 15/23/18 mpg with the short or long wheelbase. That's for the XJ and high-powered XJR version. Ratings for the BMW plug-in hybrid reach as high as 27 mpg combined and the Mercedes-Benz S550e manages 26 mpg combined, according to the EPA. All XJs are equipped with 8-speed automatic transmissions and automatic engine start-stop to help lower fuel consumption, and the lightweight aluminum body also plays a role in providing reasonably good fuel economy for such a large sedan. The XJ's start-stop system one of the happier takes on this technology in the automotive universe, cycling on and off with a barely perceptible quiver—although you'll definitely notice the sudden absence of the baritone exhaust note in V-8 versions.